40,6 x 32,4 cm - 15 15/16 x 12 3/4 in. P.ercy More Turner, Londres - Wildenstein & Co., New York - Grenville L. Winthrop, New York, 1928 - Fogg Art Museum, Cambridge, 943 (Don Grenville L. Winthrop). 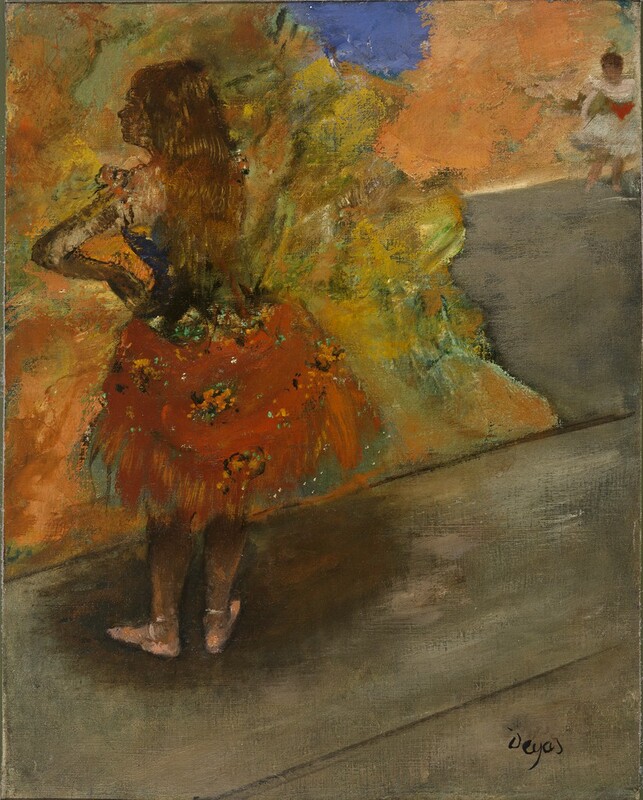 Fogg Art Museum, Cambridge, 2004, Highlights from the Collection of Grenville - Fogg Art Museum, Cambridge, Degas at Harvard, 2005, fig. 21, p. 43 et n° 5, p. 98. Manson, 1927, p. 30, pl. 64 - Lemoisne, 1946-1949, III, n° 973, repr. p. 567 - Borown, 1990, n° 334, p. 105 - Cohn, Boggs, Cat. exp. Degas at Harvard, 2005, p. 43, fig. 21; n° 5, p. 98.